Crabtree & Evelyn is one of the most trusted lines that produce beauty and grooming products. Their products are derived from Mother Nature that really effective for your body. 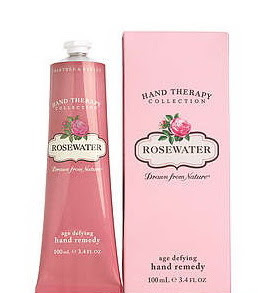 The age defying hand remedies help to soften and smooth your hands so that reducing the visible signs of aging. Now you can take the advantage from Crabtree and Evelyn promo, you can enjoy 60% discount and pay only $10 for the age defying hand remedy. They offer five fragrances of the products: Citron, Honey, and Coriander; Lavender, Rosewater, La Source, Gardeners. By the way this promo will be expired on July 17, 2011.